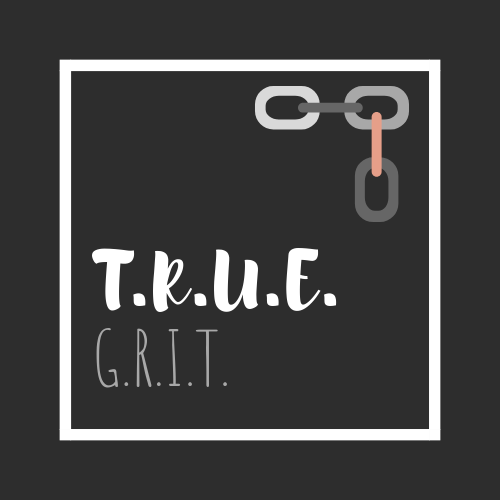 George Couros – T.R.U.E. G.R.I.T. Two, maybe three years ago now, I opened my first social media account. Not because I wanted to, but because I was challenged to do it by my then new assistant superintendent Jacie Maslyk. She had a reason. A purpose. Relevance! Behind her challenge was… GET CONNECTED! Connect to other educators. See what the world is doing WITHOUT you! The relevance behind that one simple challenge gifted me a new life in education. A new life for me. A new life for my students. Opening my Twitter account was not an easy task for me. I seriously had no clue what I was doing. However, my teenage son did and after chuckling a few times that his mom was about to “connect” with the world he was living in, he gave me a hand. From that point forward, Trent and I had a new connection too. My purpose may have been slightly different than his, but we had common ground to share in conversation. This one platform led to every single opportunity that has unfolded for me to date. Every part of my PLN. Every conference I have attended. Most every idea that I have taken into my classroom. offer a first ever book study in my district for fellow teachers. build relationships and value their importance. Yet, the naysayers still pushed back on teachers putting themselves out there on social media. So, I felt as long as I stayed on Twitter and journeyed as an educator, I could at least defend myself. What to the what? Defend myself? Defend relevance to my growth? My family kept asking when I would jump on Facebook so I plunged right in… relevance. Family ties, enough said. Then I started to blog. Oh wow, was this relevant to my world. I have always loved to write, but lost the time to do so when juggling mom, wife, and teacher. 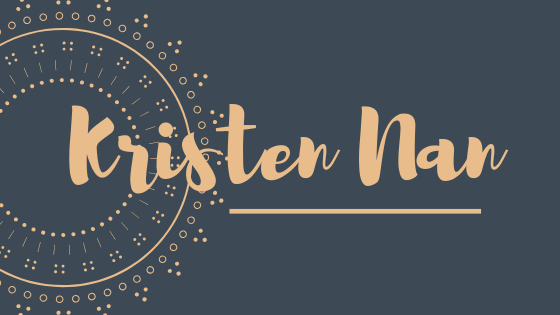 Not to mention all the other relationships I attempted to hold on to… but in order to share my blog I needed social media connections. Perfect, I got this! I was already on Twitter with other educators. Facebook connected me with family, but why not educators too? So I went on the search for my global network of #eduawesomeness. Wow, another moment forward for me. You are not on Instagram? Friends asked me this often, but I felt I had enough to juggle and already had great connections so I was okay without. Then came George’s newest adventure… A Book Study on Instagram! What? Come on George… I’ve been in the last 3 with you on Twitter and Facebook… can’t we just use those platforms? Ummmmm… NO! Triple Threat… jump in or be left behind! I logged onto Instagram 2 days ago. Created an account. Asked my son Trent AGAIN, to give me a hand. This time he didn’t chuckle. He smiled. Then he said mom, that’s cool… now follow me! Innovation is magical! It is the face of change! As George Couros , author of Innovator’s Mindset would say, “An opportunity to do something AMAZING!” It comes in many forms and around many bends in life. Do you see it? Do you hear it? I do! Where are you looking when you are trying to make change? When you are trying to move forward in an EDUworld that thrives on comfort and consistency. Sometimes it is hidden in the conversations I have with my own children. Other times it is hidden in a sidebar conversation with friends. Often, it is there… hidden behind the faces right in front of me. The question is am I looking? Look right into the eyes of a child… and like a switch that flips, your ears will perk up to the words they are speaking. Did you ever notice that eyes sparkle and dance when change is for the better? I love to see dancing in my children’s eyes. My 15 year old son Trent sat down with me to have small talk. That talk ended up changing everything for me as a mom and an educator. “Mom, I love Mrs. Steff.” (His former ELA teacher in Junior High). I said, “Wow, that is pretty awesome… tell me why?” He went on to tell me she fought for him (tears as I type). When he wasn’t interested in the required readings she had given, she did everything in her power to open up the rubric so that he could connect to his passions of fishing and the outdoors. It was a game changer. His attitude towards work looked different. He was enjoying the game of learning. Yes, this is powerful! Change for the better… behind the scenes, yet not forgotten by my son. My 11 year old son Jack said, “Mom, I love Mrs. Shadish (His former 5th grade teacher).” “I see that Jack… tell me why?” He went on to tell me “she got him.” She understood what made him tick. He needed to move about the room and she let him. He needed to be trusted and she did. He needed options and she was willing to make this happen. She built a relationship with him that fostered learning. His growth was outstanding. He went from proficient to advanced in his area of “weakness” on the state assessment. The response that came from him when he received his scores shattered my heart… “See mom, I’m not dumb.” Mind you he is an intelligent little guy that qualified for gifted and special education (for a “thought to be” learning disability in reading) all in the same evaluation. “Sell Dreams, not products“, as Steve Jobs’ said. Spread the wealth… Share this post and tag a few hidden faces of innovation that have inspired you!